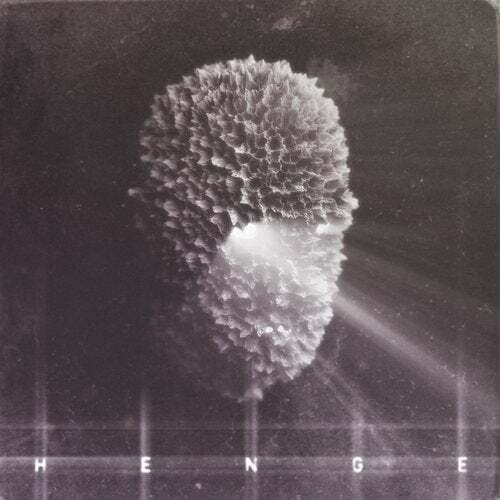 Feeling trapped within contemporary boundaries, Henge has dismayed from a certain stiffness in his ordinary ways of production. By flying to the edges of industrial Techno he has created a place of opposition, where straight rhythms are barely perceivable and haunting melodies made of broken sounds dictate. In this land a triangle of fear, paranoia and confusion rules. As music progresses this form attempts to evolve into a pyramid, it searches for its own peak, where it desperately hopes to find a demonish serenity. The danger of never reaching it's true evolution is real. Lips pointed upwards, it tries to find a way out. All other senses seem to be blocked, drowned in some sort of congested cloud of small beings. Trapped once again, it hopes to find rest for just once, but all that remains of his wishes is a vague realization that all is a polarization, forced outwards by a restless, abstract noise.